This is one of our favorite destinations to take visitors of all ages. It is a veritable for anyone who loves the outdoors, and it has some hidden treasures that few visitors would expect in this part of Europe. 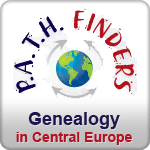 Thus, it was aptly named two Swiss expats living and working in Dresden in the 19th century. As artists they were attracted to the beautiful forests, sandstone columns and breathtaking vistas. 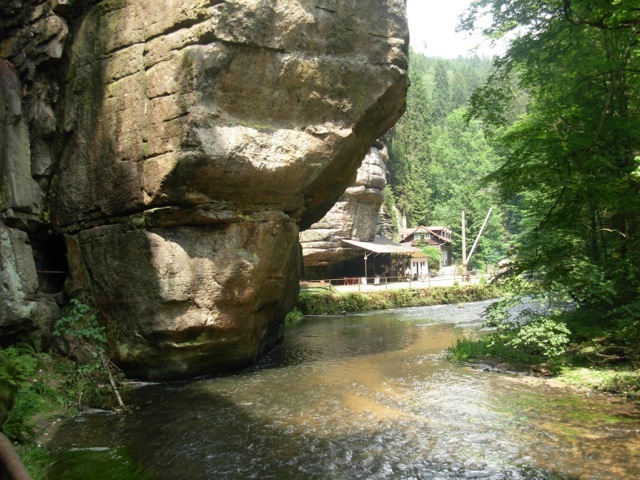 České Švýcarsko is a region of sandstone pillars, quiet foot paths, and mossy streams, a place where one may experience the providence of nature. 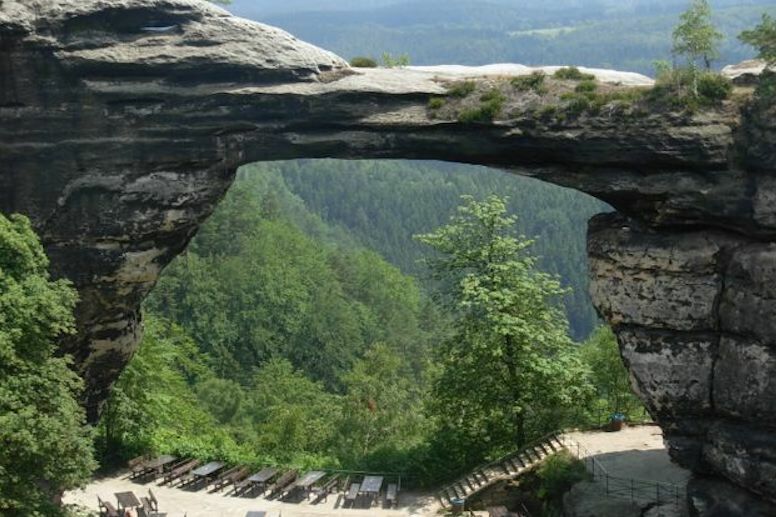 A guided day trip from Prague typically highlights the better known destination of this National Park on the border with Germany: A meandering 10Km trail that leads up to Europe’s largest stone arch, Pravčická Gate (Pravčická brána). For those with more time and a keen interest to explore some of the many secluded villages replete with rustic log homes, characteristic of this region, and a pirate's hide-away, accessible by gondola on the waters of the Soutěsky stream (refreshing especially during the warm summer months). 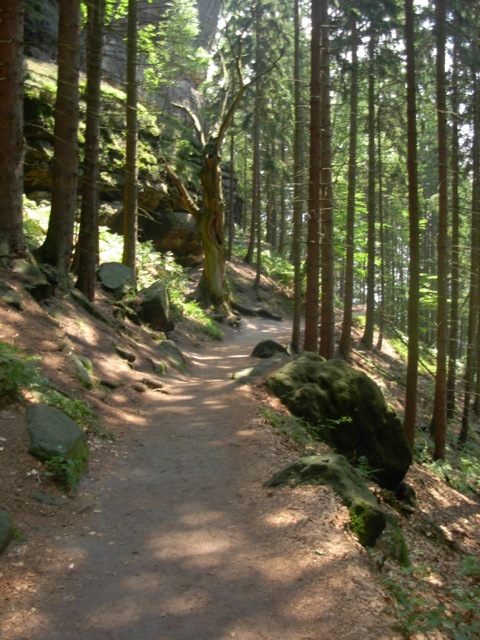 The variety of landscapes, flora, and fauna on the hillsides and in the shaded valleys of Bohemian Switzerland, make for a calm yet invigorating holiday. For those wishing to explore the region more deeply, we’d be happy to lead you among these sites and trails, exploring the natural wonders that have charmed generations of Czechs and Germans alike. 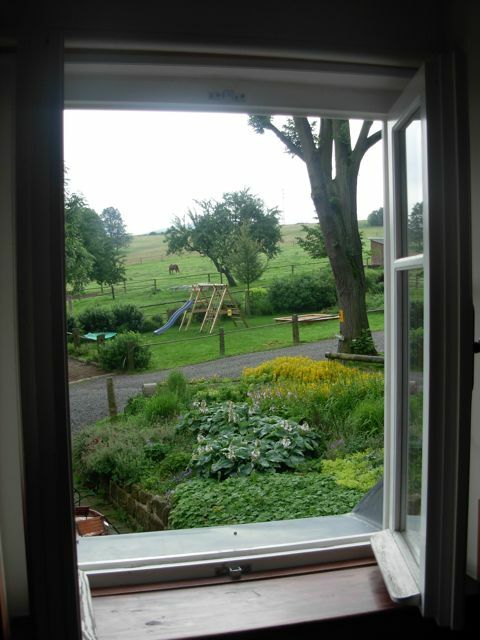 While this region can be visited as a day tour from Prague; our recommendation is an overnight’s stay in a country lodge. We can help you find the ideal country getaway Bed & Breakfast, private cottage or pension – that will be a welcome retreat for families with children of all ages. In fact we emphasize that all ages will be richly rewarded by a weekend in this natural wilderness. Besides hiking, the activities include foraging for mushrooms, horse riding, and bicycling. as well as all taxes, highway fees, fuel and parking.